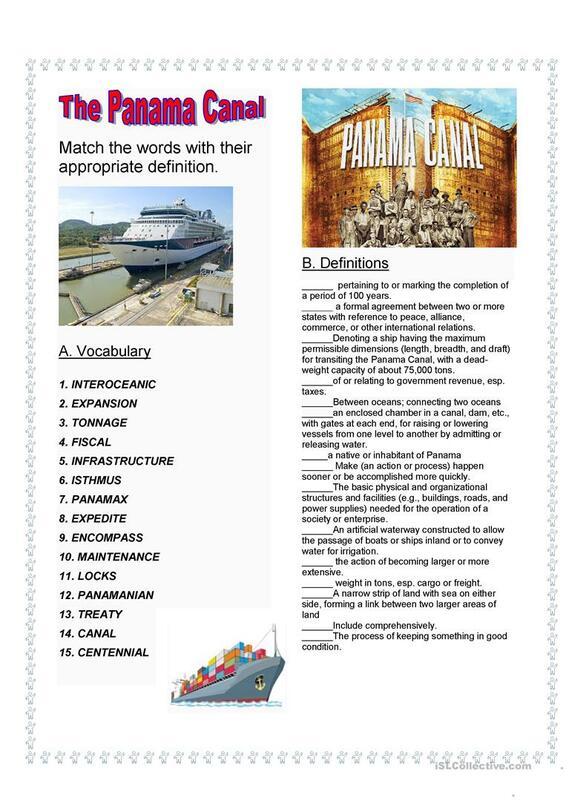 This is a short vocabulary about the Panama Canal. It has a match and a missing lines activities. 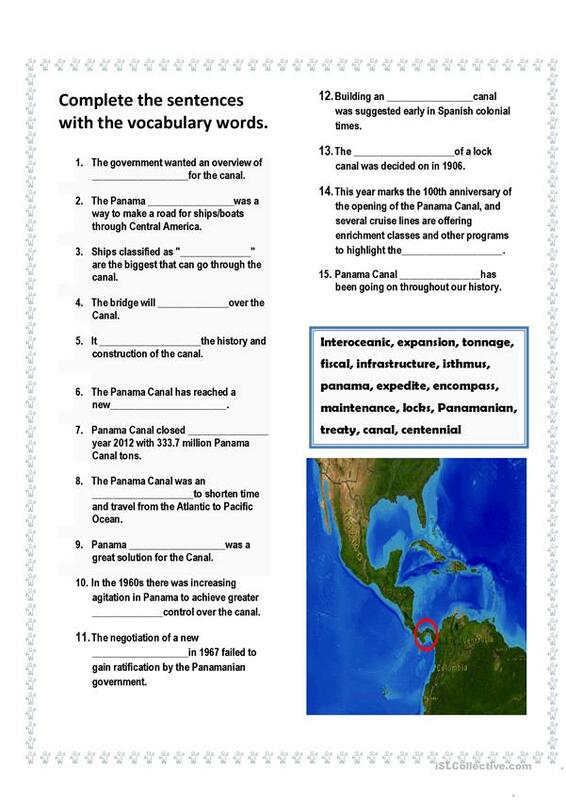 This downloadable worksheet is meant for business/professional students, high school students, elementary school students and adults at Elementary (A1), Pre-intermediate (A2), Intermediate (B1), Upper-intermediate (B2), Advanced (C1) and Proficient (C2) level. It is valuable for consolidating Nouns in English, and can be used for enhancing your groups' Listening, Spelling, Speaking, Reading and Writing skills. It is about the topic and words of Culture, intercultural communication, cross-cultural communication.